Sleepy corgis unite! 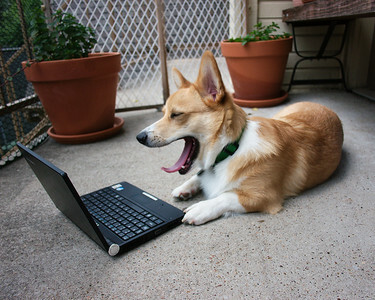 This is the place to share your yawning corgis caught on camera! You need to be a member of Yawning Corgis! to add comments! Well, I didn't see David's picture of Puzzle before (& totally feel like a poser now LOL), but here is another of Ziggy! Welcome everyone to Yawning Corgis! Please feel free to join and whatknot.